Claiming through a Claims Management Company(CMC) Accident Management Company (AMC)or a Credit Hire Company (CHC). It is important you check any company that you are offered or wish to use. You may contact your insurer who pass you onto a company who advise they can get you in a car straight away and do everything at no cost to yourself. Do nothing until you have checked the company out. Any company you use, you want to have assurity in them acting with your best interest at heart, and they will not at act in ANY way that could be in CONFLICT to your interest. Claims management companies MUST be regulated by the Claims Management Regulator. At this moment, it is the Ministry of Justice that regulates over the Claims management companies. This will change next year when the Financial Conduct Authority takes over the regulatory Authority. It is VERY important that any company you use is regulated by either : The Ministry of Justice, The Claims Management Regulator or the Financial Conduct Authority. If you use a company that is NOT regulated by the above, then you have no recourse of action via any arbitration services should things go wrong. This may sound odd, but whatever route you use, you need to look at what options there are to complain should things go wrong. With Claims management companies, and Accident Management companies, should you need to complain, you can complain to the Legal Ombudsman Service. If you find a good company, then they should not act in conflict to your interest, and you should get the full lawful financial settlement you are entitled too. You should also be provided with the correct legal representation to cover the area of claim you are pursuing. Make sure which ever solicitors they use , you know which legal firm is being used, and they are regulated by the Solicitors Regulatory Authority (SRA). Should the worst scenario happen, you can complain to both the SRA and the Legal Ombudsman. You do not do any research, and use the first company that contacts you. This is why there has been such contentious media on accident management companies, with cold caller asking “do you want to make a claim” and “do you have an injury”. A lot of these companies are NOT regulated in any way, do not have your interest at heart, they just want to sell your details to get a referral fee from a solicitor. Once they have your details, they rarely assist you, they will want to get you into a credit hire vehicle, as they also get commission for this. To have a credit hire vehicle, certain requirements are needed.These need to be explained to you. Often, these unregulated companies do not explain everything to you. It can end up you attending court, providing all your financial details ie account statements, to prove you had no other choice but to use this company. Make sure you check any company you are approached by, and make sure they are regulated. 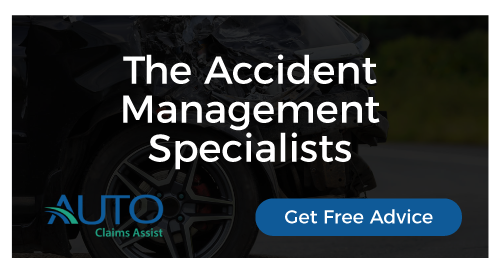 I have in section “what are my entitlements in a non fault accident” “Can I claim for Loss of use of my vehicle”explained credit hire in more detail.